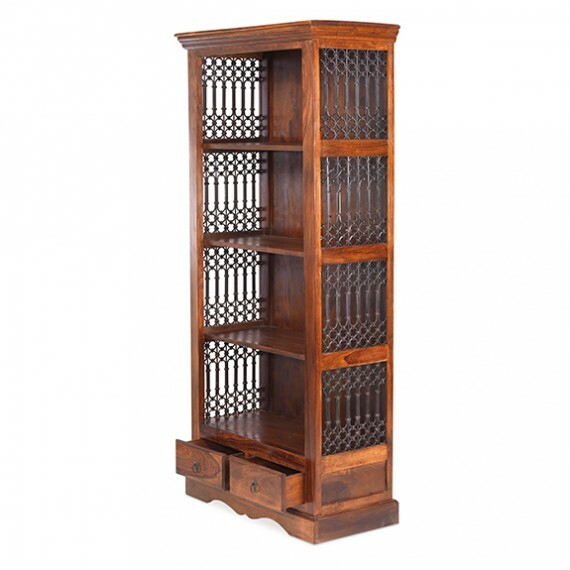 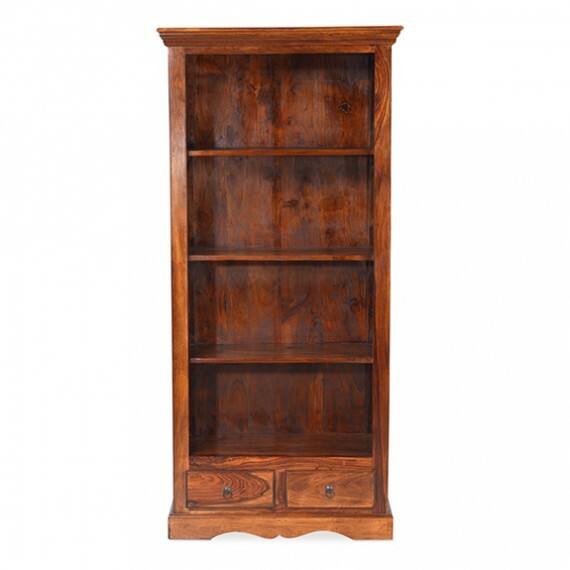 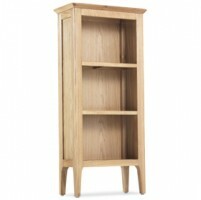 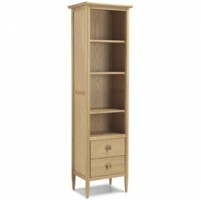 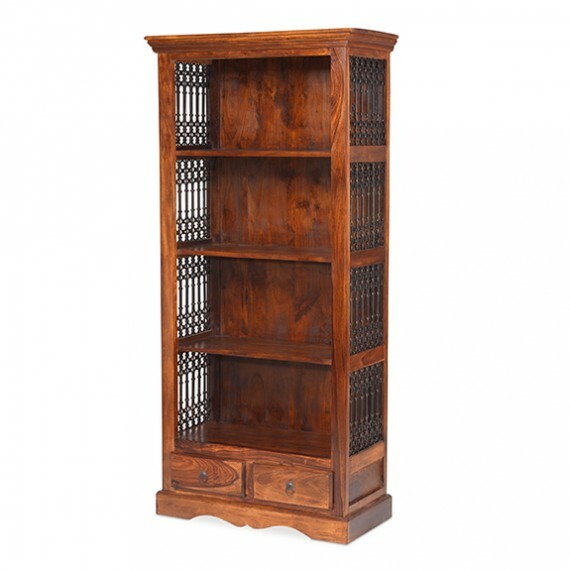 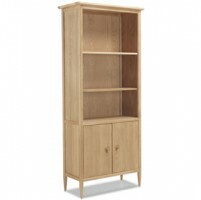 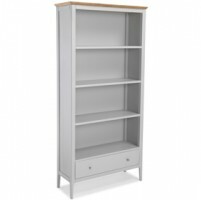 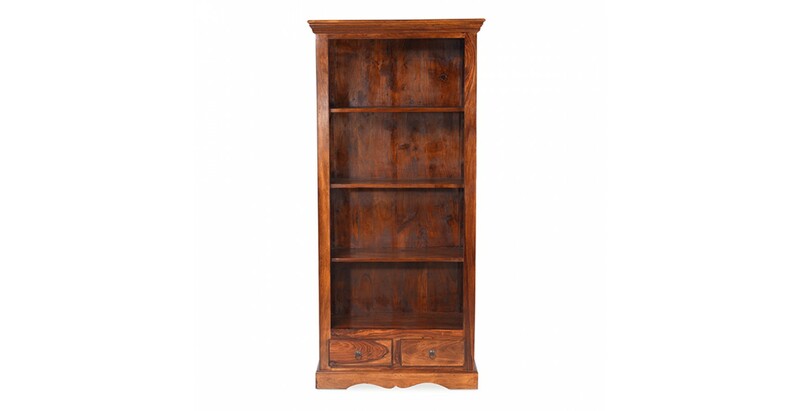 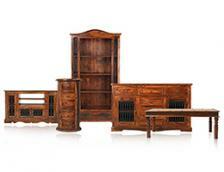 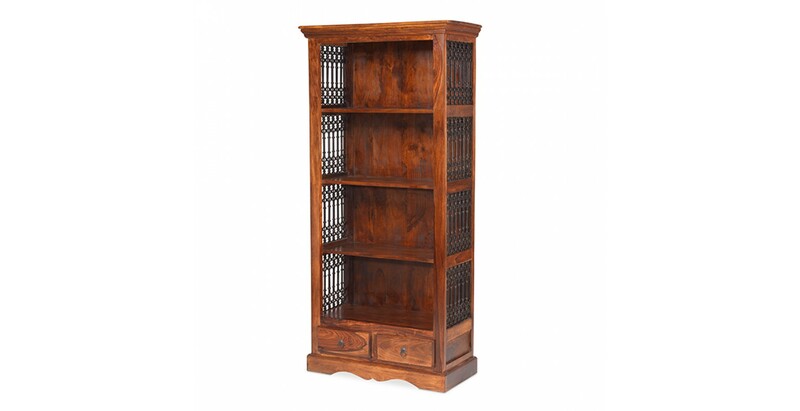 Every inch of this colonial-influenced bookcase oozes class, from the bottom of its attractively carved plinth to the top of its elegantly tapered cornice. 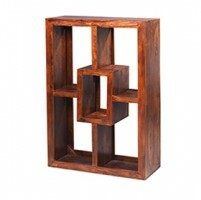 Skilled Indian artisans have handcrafted it from dark-toned sheesham wood using traditional techniques to ensure its durability and then finished it with a wax lacquer to bring out its unique charms. 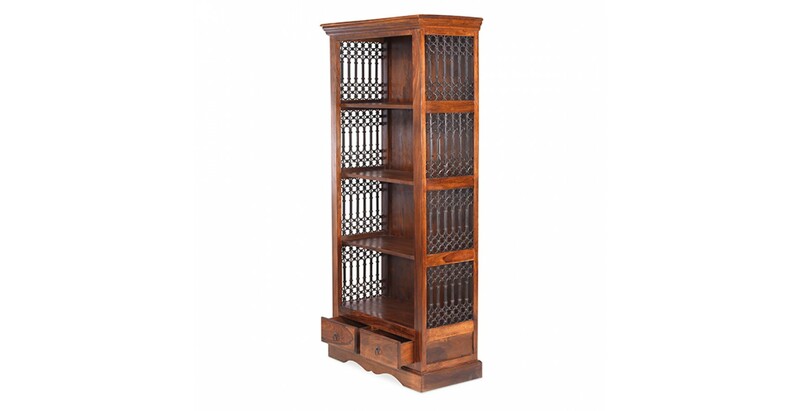 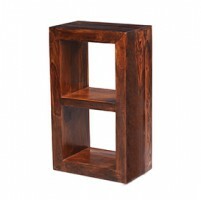 With four sturdy shelves for books or collectibles, it also has wrought iron portcullis work down each side to add visual interest and authentic detail and will work well in a wide range of decors.